Can I just try one class? Yes, you can purchase a class a la carte. We suggest doing this online to avoid a line at check in. If you do it in person, please arrive at least 15 minutes early. You can purchase a Club Card for savings and convenience. We will keep your Club Card on file at the studio. Please note Club Card expiration, 3 months from first class. We will factor studio closures into the expiration date. No extensions, no refunds, transfers, or credits for adult classes and packages. Adults do not need to pay a registration fee. All adults must create an account online and agree to the terms and conditions, including our liability waiver through our Online Registration. All students must sign in at the office prior to class, regardless of registration process. All students should read the Fall/Spring Handbook for a complete understanding of polices and liability waiver. Do you have a college student discount? We have college discounts available, however you will need to bring your college ID to the studio and register here. Please create an account online first. Must be currently enrolled in college. Students that are incoming freshman cannot receive the discount until they are in school. 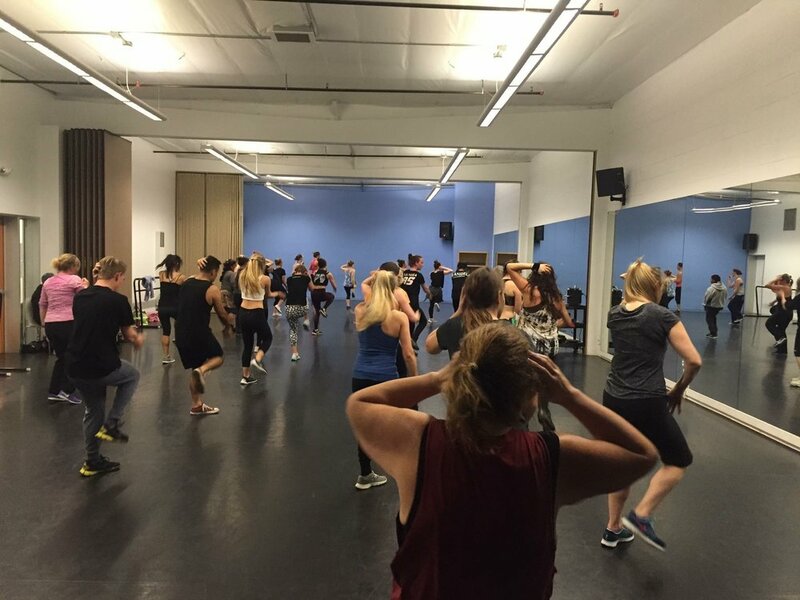 For all hip hop classes wear sneakers, comfortable clothes (leggings, sweats, shorts), water, and a towel. There is a drinking fountain on site. We suggest keeping hair off the face. See our dress code for jazz, ballet, and contemporary under classes. ...dancing is the best diet? Have fun and get in shape, and save with one of our club cards!